The annual InBusiness Editor’s Choice Awards took place yesterday at the Hibernian Club, Stephen’s Green, Dublin, recognising excellence in business over a wide variety of categories. 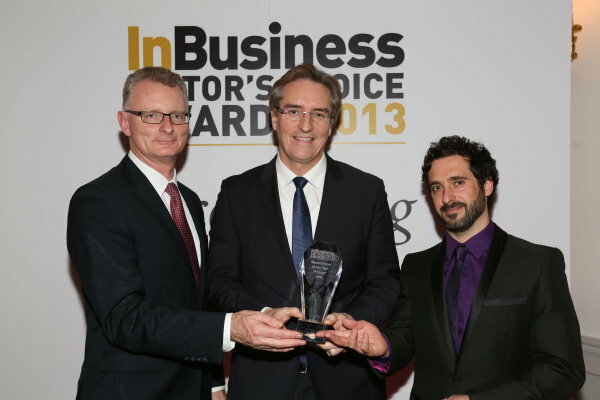 Intel Ireland was honored at the ceremony as the recipient of the Manufacturer of the Year award. Brendan Cannon, Director of Corporate Affairs, Intel Ireland, accepted the award on behalf of Intel Ireland and said “I am delighted and proud to accept this award on behalf of Intel Ireland. This award is very much a testament to the ongoingachievements of the Intel team at our Leixlip campus and is also a recognition of the important role that advanced manufacturing plays as part of a modern, knowledge economy”.